AAA Finance and Insurance specialises in Harley Davidson Motorbike finance and insurance. 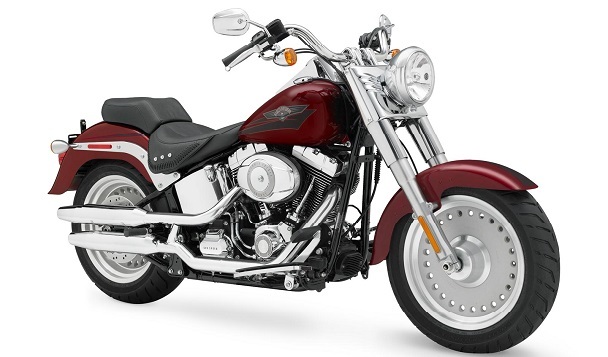 We have financed Harley Davidson motorbikes for many of our clients. Whether you are buying privately or from a dealer, we can get you a very competitive interest rate with loan terms to suit you. For many of the country’s motorcycle enthusiasts, Harley Davidsons are a stand out machine. They’re the bike that everyone wants to own and ride, and are perfect for the country’s highways, whether you’re exploring Australia’s beautiful coastal roads or heading inland. We pride ourselves on providing exceptional customer service with quick and easy finance and insurance solutions. Why should I finance a Harley Davidson with AAA? People have a range of motorbikes to choose from when they approach AAA Finance and Insurance for a motorcycle loan, but few options can hold a candle to the Harley Davidson. Sure, there are other bike manufacturers making perfectly capable machinery, but how many have created something that has become a design icon? For decades, Harley Davidson motorcycles have been immortalised in films, television series and all other types of media. No motor cycle enthusiast will forget the first time they saw Easy Rider, the film that saw Jack Nicholson and Peter Fonda ride their Harley Davidson across the United States. Few other examples cemented the Harley’s reputation quite like that film. Is there a better country to re-enact this road trip than Australia? We think not. What’s the difference between secured motorbike loan and a personal motorbike loan? We offer both secured motorbike loans and personal motorbike loans, affording greater flexibility for people looking to purchase their dream motorcycle. A secured motorcycle loan is also known as a consumer bike loan. It’s also the most popular type of Harley Davidson motorbike finance. This form of loan uses the bike as security against the loan. The main difference between this option and a personal motorcycle loan is that it has a lower interest rate. A Personal Motorbike Loan is also known as a unsecured personal motorbike loan. It is mainly used for purchasing older Harley Davidson motorcycles. If it’s your dream to own one of the classic Harley Davidson models over the newer alternatives, this is the loan for you. You can submit an enquiry regarding motorcycle finance online. Simply fill in the online firm to have one of our experience Harley Davidson consultants contact you. Pre-approved motorbike finance is another option to make the purchasing process quick and easy. This allows you to shop around for the perfect Harley Davidson with the assurance that you have a pre-approval within your budget. Call (07) 5493 1222 for a quick 5 minute over-the-phone application. Most Harley Davidson Motorbike Finance is approved within 24 hours. Apply today to ride away on your dream Harley tomorrow. We understand there’s a sense of excitement that comes with buying your first Harley Davidson and every minute you wait can feel like a lifetime. With this commitment to providing a finance solution as soon as possible, AAA Finance and Insurance is the best option to secure a quick and easy motorcycle loan. AAA Finance and Insurance has access to a wide range of lenders. We match your individual circumstances to the best lender to ensure you get the lowest interest rate available. Finance solutions are not a one-size-fits-all product, and every customer has their own unique set of needs. The best way to ensure a Harley Davidson loan is tailored to you requirements is to give one of our consultants a call. Use our easy Motorbike Finance Calculator to estimate your fortnightly or monthly repayments. You will need to input an estimate of your loan amount, interest rate and loan term in years. Our calculator gives both a monthly and fortnightly repayment based on your estimates. The interest rate will be determined by your individual circumstances. This is the best way to ensure your dream of owning a Harley Davidson can become a reality. If you have any questions about the results from the finance calculator, don’t hesitate to contact our team of consultants.